PANDORA Explosion of Love Clip 796591FPC. 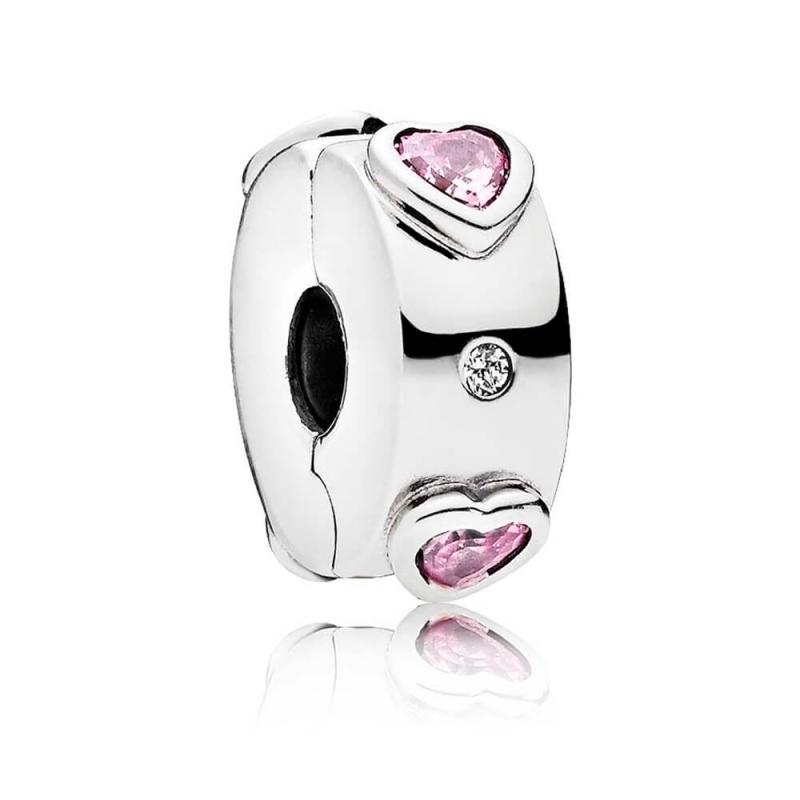 Minimalist, contemporary and chic this sterling silver clip gleams with the graphic refinement of pink stone hearts. Its ingenious silicone grip ensures it will stay perfectly in place on any PANDORA Moments bracelets. Clip in sterling silver with 4 bezel-set heart-shaped step dome-cut fancy fuchsia pink cubic zirconia, 2 flush-set clear cubic zirconia and silicone grip.